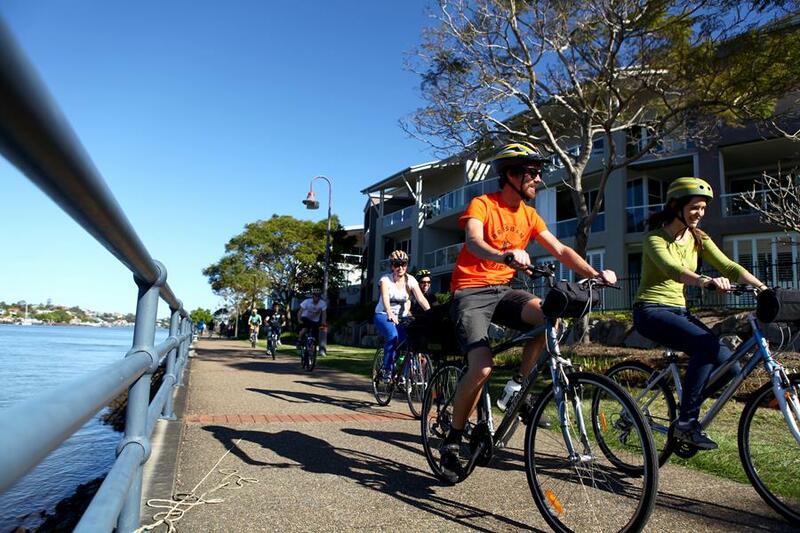 Brisbane by Bicycle deliver authentic, fun and informative bike tours that show off the best parts of Brisbane. If your clients are looking for a outdoor tour option that that is leisurely, easy paced and from a locals perspective, Brisbane by Bicycle is a must. All the tours are fully guided by a Brisbane local with extensive knowledge of the city and combined historical sites and cultural attractions with a true insiders guide to bars, dining options, events and attractions. There is really no better way to see the sights of Brisbane than by Bicycle, they promise to provide your clients with the most authentic, fun and informative locals guide to Brisbane. 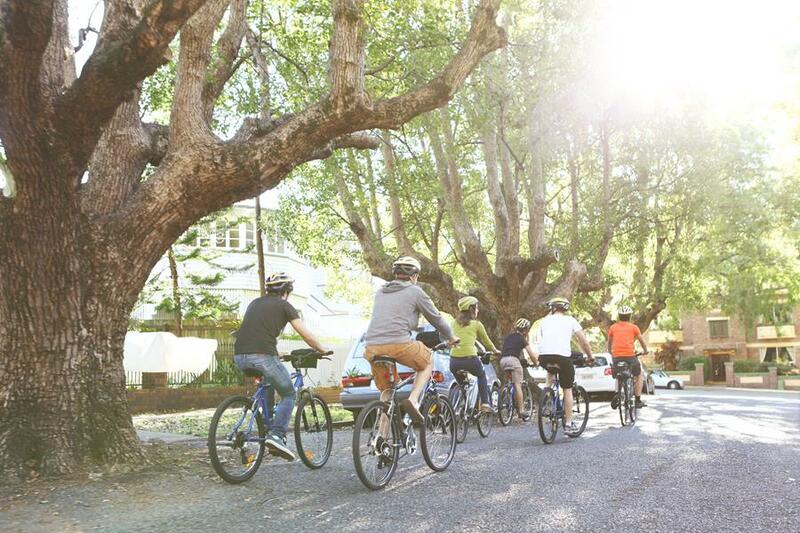 Four Fun Tours to Choose From..
Brisbane by Bicycle Tour which is their most popular and highly recommended tour. Operating from 9.30am until 1pm with morning tea included. 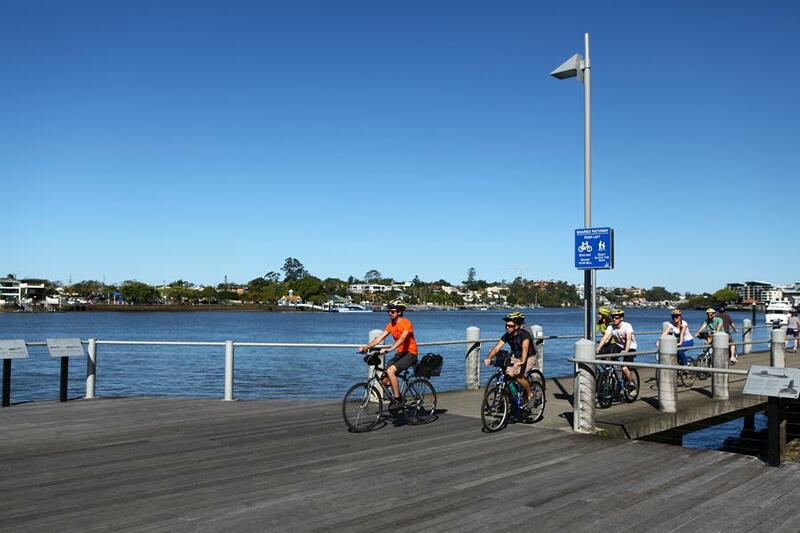 This is a scenic and leisurely ride around the Brisbane river, with plenty of stops for photos and breaks. Essential Brisbane Tour is a short afternoon tour of the Brisbane City area. It is conducted solely on bicycle paths and is any easy ride. Operating from 2pm-4pm. Eat St Markets and River Cruise Tour starts and finishes at Southbank Parklands and is a great way to spend a Friday or Saturday evening. 1-1.5 hours is given in the tour to explore the markets and sample the different food, drink and entertainment options. Operating from 4.30pm – 8.30pm (Friday and Saturdays only).